Χριστός απεθάνον, Χριστός ανέστη, Χριστός πάλιν ἐρχόμενον! — St. Innocent (Veniaminov) of Irkutsk (AD 1797-1879), co-patron saint of FCA. 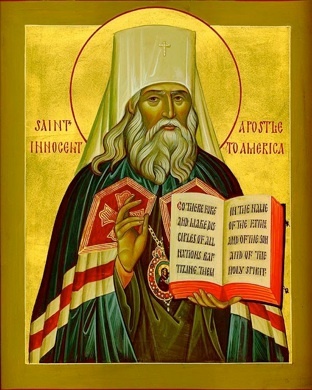 Veniaminov, canonized as the Apostle to America, is a hero of foreign missions (esp. in Aleut Alaska and North America) fueled by grace, sheer human strength and skill, courage, sacrifice and a masterful immersion in foreign languages and cultures. Strictly speaking, Guadalupe is the name of a picture, but the name was extended to the church containing the picture and to the town that grew up around the church. The image, originally emblazoned on a coarse tilma (Mexican cloak), is taken as representing the Immaculate Conception, bearing the lone figure of the woman with the sun, moon, and star accompaniments of the great apocalyptic sign with a supporting angel under the crescent (cf. Rev. 12:1ff.). Its tradition is long-standing and constant, and in sources both oral and written, Indian and Spanish, the account is unwavering. The Blessed Virgin appeared on Saturday 9 December 1531 to a 55-year-old neophyte named Juan Diego, who was hurrying down Tepeyac hill to hear Mass in Mexico City. Our Lady is the patron of the Americas and South America in particular, and her feast day is December 12. The grace of her visitation was and is critical to the Faith spreading in Mexico and neighboring areas. She is also the patron and icon of my local Taichung parish. — Sts. 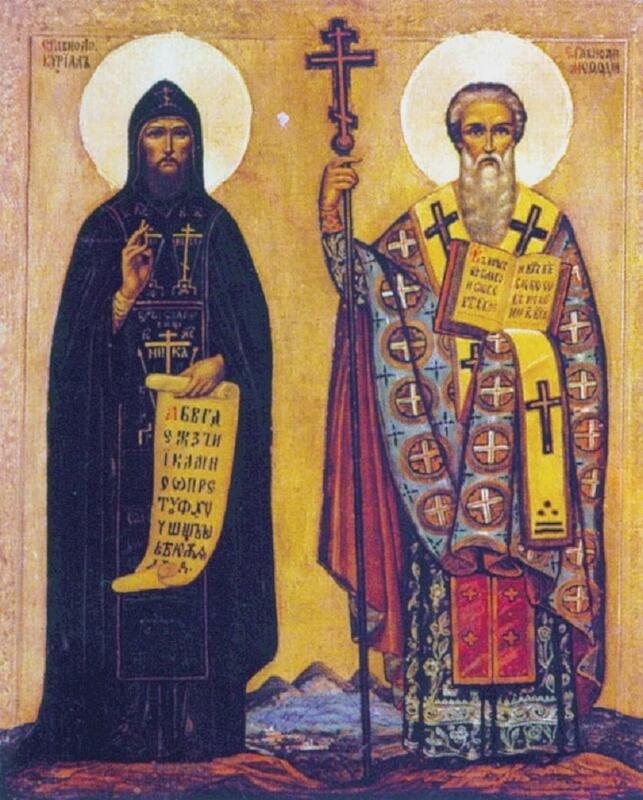 Cyril & Methodius (AD 827-869 & 826-885), “the Apostles of the Slavs,” were born in Thessalonika into a senatorial family, but they renounced their prestigious political inheritance to become monastic priests on the Bosphorus. In 863, after successful mission service among the Khazars, the brothers served among the Moravians as translators and pastors for more than four years, although they were criticized by the earlier German missionaries there for their use of the vernacular in the liturgy. Happily, when they sought papal support in Rome, the brothers were received warmly by Pope Adrian II, who not only returned them to the Moravians, but also sanctioned their Slavonic liturgy (based on Cyril’s now-standard alphabetization of the Slavonic language). Unhappily, however, Cyril died in Rome and Methodius returned alone to Moravia. Adrian II created a Moravian archdiocese and appointed Methodius as its archbishop. In 870 he was deposed and imprisoned for three years by King Louis and the ever-antagonistic Germans — until Pope John VIII exonerated him and reinstated him as archbishop. Methodius received constant support from Pope John VIII against his relentless opponent, Wiching, a German priest. These brothers, hose Latin feast day is February 14, are the patrons of missions, of Europe, and of the (re)union of the East and the West in the Church — all things which are deep in my heart. — St. Ignatius of Loyola (AD 1491-1556), a former Basque nobleman and soldier, then founder of the Jesuits (AD 1540). Ignatius is the patron saint (31 July) of discernment, retreats, spiritual exercises, soldiers, Jesuits. 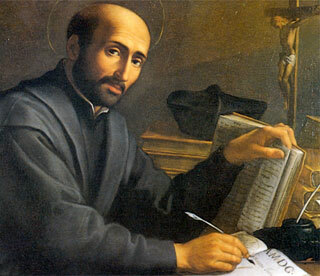 After a severe battle injury and a mystical encounter with Christ, Ignatius became an ardent supporter of Christian reform through education and faithful sacramental worship. He also emphasized unflinching missionary service and, as one of the leaders of the Counter-Reformation, the suppression of heresy. His motto, and the motto of the Jesuit order, is “Ad majorem Dei gloriam” (“To the greater glory of God”), which calls us to do anything, or everything, as long as we do it well and for God. In this icon (by Robert Lentz) Ignatius calls us to silence so we may hear both God in our hearts and our neighbor in the world. — St. Leopoldo Mandic (AD 1866-1942) was born the twelfth child of a noble family in Dalmatia (now-western Bosnia) and was ordained a friar of the strict Capuchin order in 1890. Despite his intense desire for missions in eastern Europe, Leopoldo’s physical frailty and poor speech led his superiors to keep him in Padua, Italy, where stayed the rest of his life. Undaunted by confinement to one city, St. Leopoldo became a “martyr of the confessional”, welcoming, counseling, healing and absolving countless penitents. Because of his intense desire for Eastern-Western Church reunion and his radical apostolate of Penance, Leopoldo is known as the Apostle of Unity and Reconciliation. His feast day is May 12. — St. Francis Xavier (AD 1506-1552), a former Basque nobleman, like his mentor Ignatius of Loyola, who became one of the founding members of the Society of Jesus, Xavier was a Basque nobleman. 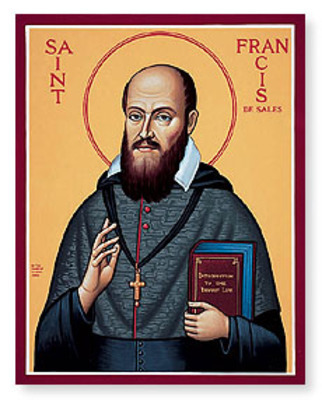 He wanted to be a professor but Ignatius enjoined him to be a missionary. So, Francis, who had the gift of tongues and healing, entered a life of untiring and truly miraculous missionary work, mainly in India, Japan and China, where he died of a fever. 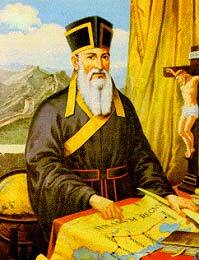 As thepatron saint (3 December) of missions, especially Asian missions, he has a special place in my heart. — Matteo Ricci (AD 1552-1610), missionary to China and master scientist. Against the wishes of his very anti-religious father, Ricci entered the Society of Jesus in 1571. In 1583 he was sent to China, where he remained for the next 27 years, serving as a highly respected scientific, theological and linguistic scholar. His vast learning, humble nature and almost flawless adaptation to Chinese culture won him the ability to evangelize China’s ruling elite. Though not a saint, Ricci typifies for me the Jesuit willingness to “become all things to all people,” as well as the Jesuit courage of faith to embrace God’s truth both in science and revelation. — St. Peter Claver (AD 1580/1-1654), “slave of the Slaves,” was a Jesuit priest in Cartegena, Colombia. He closely ministered to the endless stream of African slaves arriving in South America, saying, “We must speak to them [i.e., the slaves and all people — EBB] with our hands by giving, before we try to speak to them with our lips.” Because he both worked for humane regulations in the slave colonies and administered the sacraments to “subhuman” slaves, Claver was opposed both by slaveholders and various fellow believers. Nevertheless, his perseverance and faith have made him the patron saint (9 September) of African missions, African-Americans, racial justice, and Colombia, among other things. — Fr. 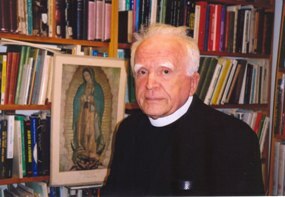 Stanley L. Jaki, OSB (AD 1924-2009), held doctorates in both theology and physics. The Hungarian-born priest moved to the USA in the 1950s where he then completed a PhD in theoretical physics at Fordham University. He was a prolific lecturer and writer, particularly concerning the history of science and its surprisingly intimate connections to the Catholic worldview. Unquestionably on the pugnacious side, Jaki’s witness, like that of most prophets, “hurts so good”: his writings are historically dense and tightly argued and his staunch commitment to the Catholic Church of Christ is leaves no quarter for vapid secularism, much less for vapid theism. Unfortunately, many of his works are usually very hard to find and most popular science authors, to their shame, simply seem to have no idea about Jaki’s significant contributions (which is odd, considering his many prestigious accolades and lengthy CV). If ever there were a thinker who’s time has not yet come, it is Jaki. Also an astute ecclesiologist and a leading Newmanist, Fr. Jaki is a hero of sorts for me, not only because he modeled academic and spiritual excellence in the examination of science, history and faith, but also because his book, The Savior of Science, played no small role in my entry into the Church. — Bishop Oscar Arnulfo Romero (AD 1917-1980), a Jesuit, was the Archbishop of San Salvador, El Salvador until his assassination in 1980 while he was celebrating the Mass. Romero bridged a gap between the Marxist revolutionaries inciting poor Salvadorians and the wealthy aristocrats oppressing them, Romero’s flock, with the national army. — Johnny Cash (AD 1932-2003), the Man in Black. Cash stood his whole life for two things close to my heart: good music and justice for all people. He had the grit to reach “the least of these” as well as the faith, after some years of wrestling with God, to speak and play for the Lord Jesus. He wasn’t a Jesuit, but as the Man in Black, he would have fit very well in that “long black line” of truth, faith, justice, and excellence. 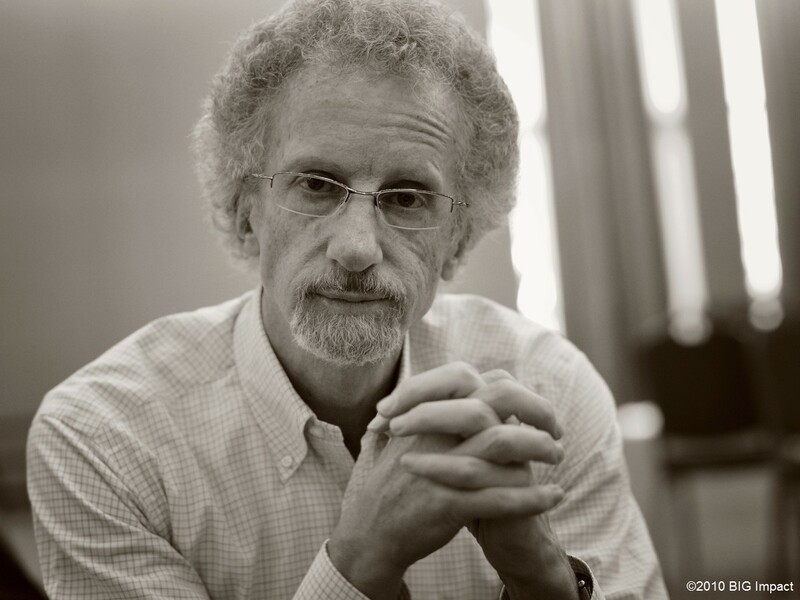 — Philip Yancey (AD 1949-), leading evangelical author of more than a dozen books and numerous articles. Yancey says he feels “called to speak to those living in the borderlands of faith,” as well as to redeem language from its abuses by Christians and non-Christians. His elegant style, his wide range of reading and his unflinching courage to reach “the literate lost” with God’s sometimes confusing but always unshakable love is a model for my own life. Yancey was pivotal in my desire to be a Christian author — and a more humble Christian. Even so, there is, apparently, enough problematic matter in his life-witness to render him more of a stylistic guide than a sure guide in the spiritual life. Lo! The Ersatz Sidebar · Ahoy, Me Hardies, and Avast! The Good Ship FCA’s Resource Cargo! Pingback: God is Catholic or the Catholic Church is not divine… | FideCogitActio : "Omnis per gratiam," etiam sub patrocinio S. Ignatii Loyolae et Francisci Salesii. C.S.S.M.L. + N.D.S.M.D. + V.R.S. N.S.M.V. S.M.Q.L. I.V.B. Pingback: “Outside…” | FideCogitActio : "Omnis per gratiam," etiam sub patrocinio S. Ignatii Loyolae et Francisci Salesii. C.S.S.M.L. + N.D.S.M.D. + V.R.S. N.S.M.V. S.M.Q.L. I.V.B.